There’s a brand new collection of design resources available for Access All Areas members today courtesy of Layerform. 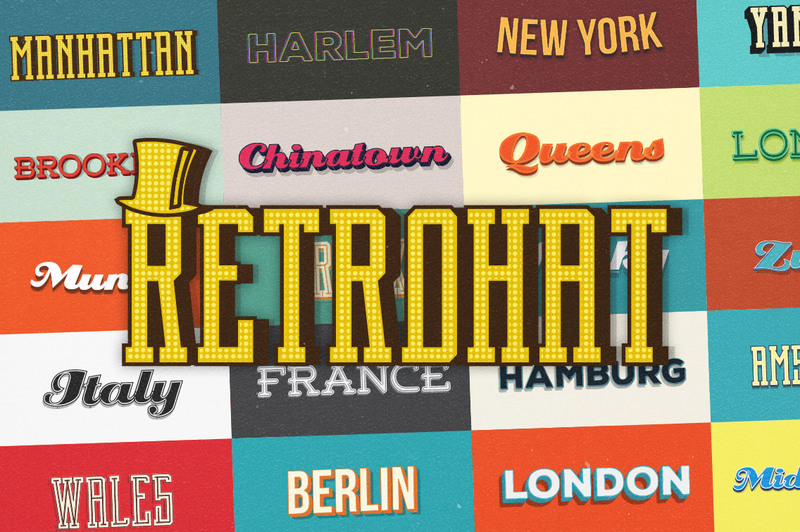 Retrohat is a set of 26 Graphic Styles for Adobe Illustrator that allow you to instantly add retro text effects to your artwork within a matter of seconds. Simply highlight your text, choose the Retro Graphic Style that you wish to apply, and voila! You have an amazing, yet fast retro text effect that is ready to go! Access All Areas members can now download this set of 26 Retrohat Graphic Styles for Adobe Illustrator as part of their membership. Instantly decorate your text with popular styles that mimic classic typography, featuring various colour, drop shadows and 3D effects. It’s good offer for all people. Thanks for great opportunity. Oh, how cool! I can’t wait to see how these work! Blessings and many thanks to you and to Eddy! This is awesome. 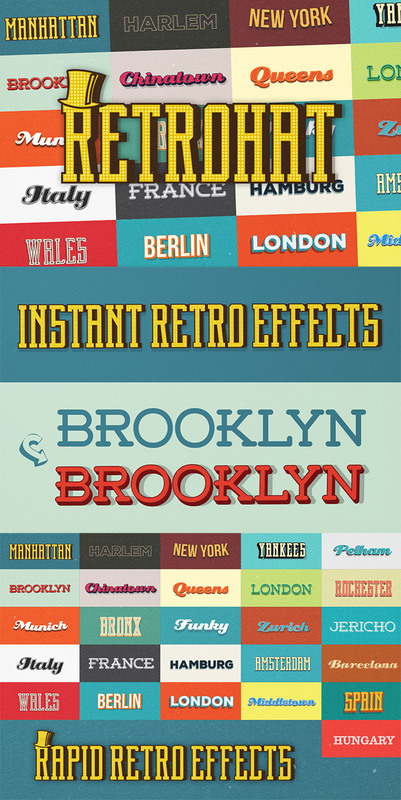 Retrohat graphic styles gives your design a nostalgic feel.